Mommy…what does YWCA stand for? It used to be Young Women’s Christian Association. I think the “C” has since been dropped. The YWCA….what was considered a safe haven for women has turned into a political mire of relativism and socialism. 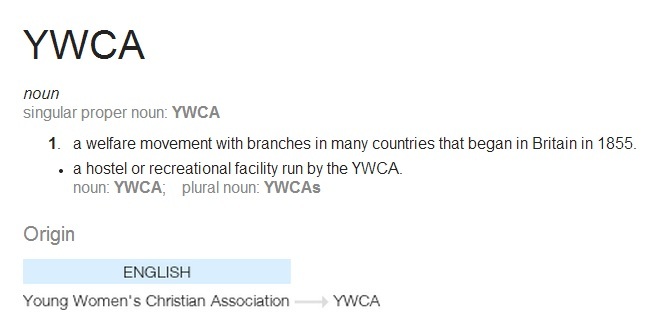 Largely funded by the government, the YWCA has taken the ‘C’ [for Christian] out of their acronym and replaced it with a reform of the usual bunch of liberal agenda earmarks. A Fair Budget that Protects Women and Families. That sounds so….decent, doesn’t it? 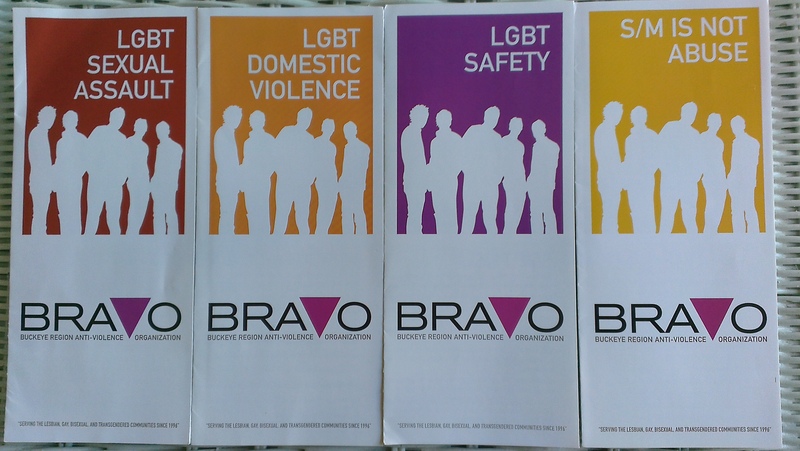 But the truth is that the biggest agenda at the YWCA is the Gay Agenda and fundraising…they seem to be in the red. [drumroll] S/M IS NOT ABUSE. I don’t see the “C” in there anywhere. “assisting immigrant victims of violence in navigating the justice system…..voter education and mobilization; affirmative action, and working to end hate crimes…..provides adequate protections for immigration victims of sexual violence and trafficking and that creates a roadmap for citizenship for the 11 MILLION ASPIRING TO BE CITIZENS [emphasis mine]”. You can smell the Liberal Agenda all over this. Again, government money given to the YWCA to show illegals how to circumvent the system that natural born Americans have to abide by. Again, no “C”. “CDBG funds may be used for community development activities (such as real estate acquisition, relocation, demolition, rehabilitation of housing and commercial buildings), construction of public facilities and improvements (such as water, sewer, and other utilities, street paving, and sidewalks), construction and maintenance of neighborhood centers, and the conversion of school buildings, public services, and economic development and job creation/retention activities. CDBG funds can also be used for preservation and restoration of historic properties in low-income neighborhoods.” Read the rest here. Again, the Liberal Agenda reeks all over this. This has HARDLY anything to do with the YWCA, if anything at all. The United Way partners with YWCA, and promotes ‘reproductive health’ and sexuality with kids, tweens and teens via Girls Inc, with girls as young as 7. What seem prevalent is the abuse of power and lopsidedness because of the Federal Government having such a heavy hand in the YWCA and their ‘partners’. I urge the reader to go to their local YWCA’s website and find their annual report to see the funding and take a good look at who’s on the board. FYI: The first association in the U.S., Ladies Christian Association, was formed in New York City…..not women, LADIES. Next postAnd in other news, #ABQ is the #latetermabortion capital of the United States.